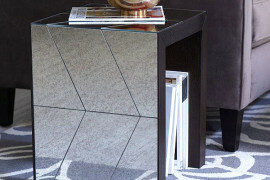 The first step in preparing for a garage sale is to set aside a place to display items. The degree to which you prepare for this step will vary. I’ve had garage sales where nobody was allowed in my garage, or where there was no garage (so the sale was held in the yard). If you’re not shy about strangers visiting your garage on the morning of a sale, displaying items here is not a bad idea. 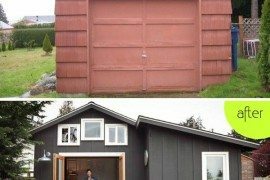 You can set up for the sale all week, then simply raise the garage doors when it’s time for the event to start. Voila! So we used the sale as an excuse to clean, clean, clean. 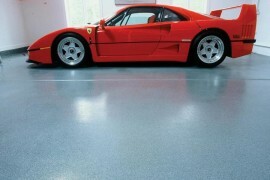 It’s not that we haven’t longed for a clean garage. 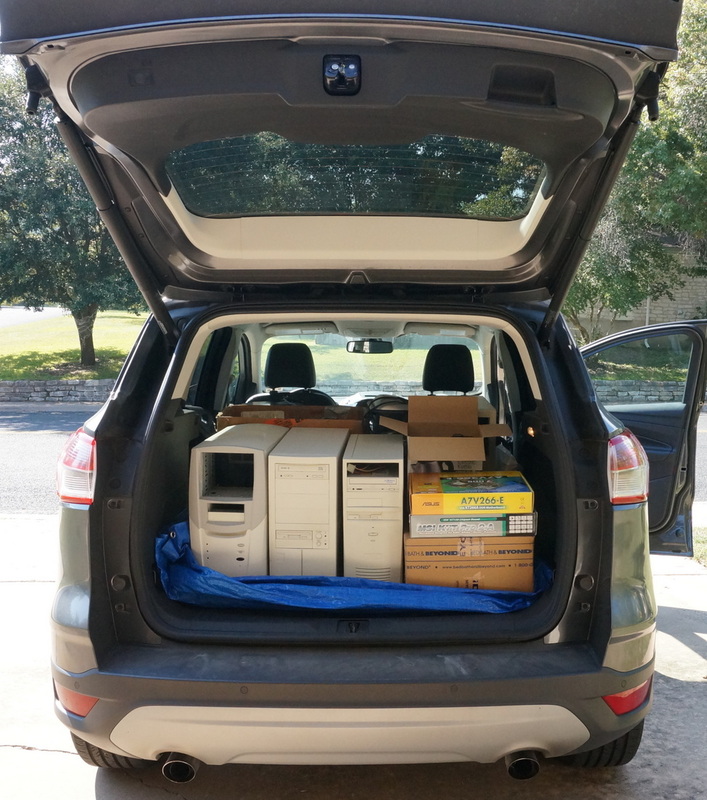 There have just been MANY steps involved in the cleaning process, including researching where to recycle electronics. Do you ever find that the more steps involved in completing a task, the easier it is to avoid doing it?! This week we tackled the biggies. We even recycled the electronics and re-assimilated certain bulky items back into our home (like my kitty’s “condo”, which I’ve needed to repair for the longest time). He’s thrilled that it’s back in operation! With the garage cleaned out, there was now floor space. We bought an extra shelf from the container store and filled it with boxes that were once obstructing a clear path across the garage. We draped tarp over the shelves so garage sale shoppers wouldn’t be staring at all of our storage boxes. We set up display tables and began setting up merchandise. Yep, things were looking up! 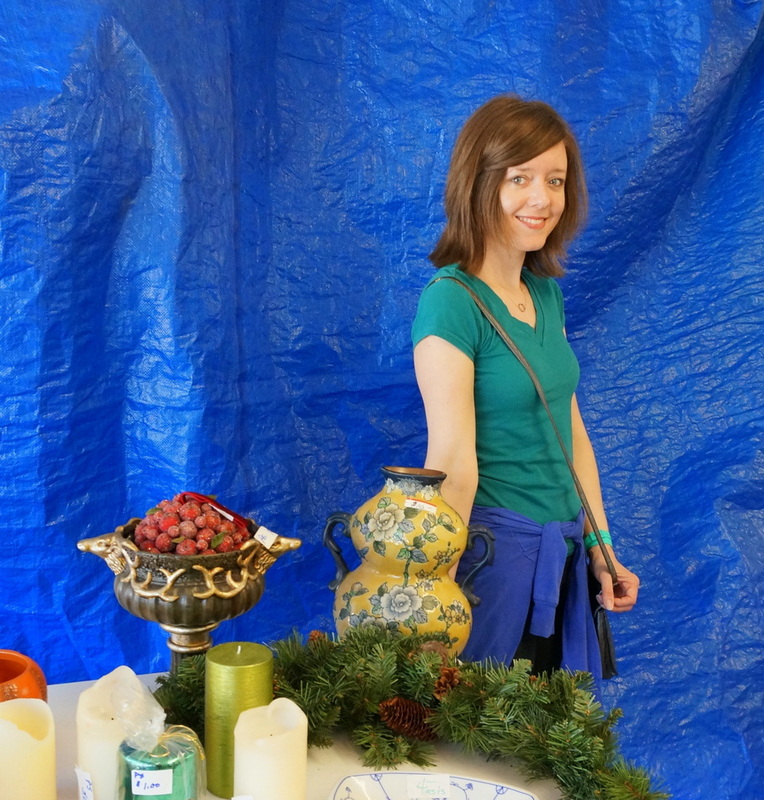 Here’s a shot of me at the garage sale. But I’m getting ahead of myself! In the next section, I’ll tell you how I welcomed shoppers. The heading of this section says it all–the easier you make it for shoppers to navigate your sale, the more you will sell! This begins with clearly pricing your items. You can also make it easy on yourself by purchasing stickers that do some of the work for you! 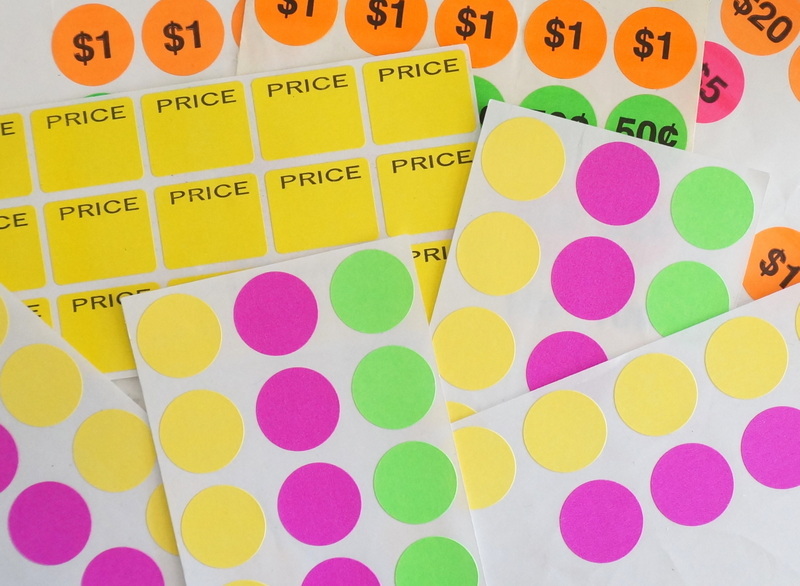 I like the dots with the prices pre-printed on them. 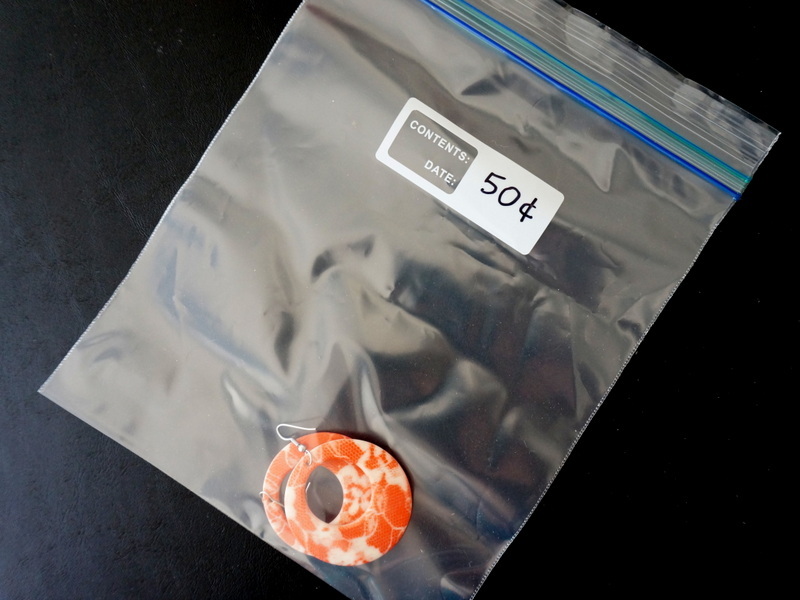 Consider packaging jewelry and other smalls in sealable baggies so they’re easy to label (and easy to see). Plus, if they’re concealed in baggies, they won’t be likely to wander off. 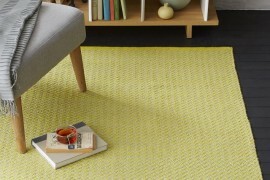 The more items you can price before the night before the sale, the better. It’s never fun to do things last-minute. Let’s talk signage. 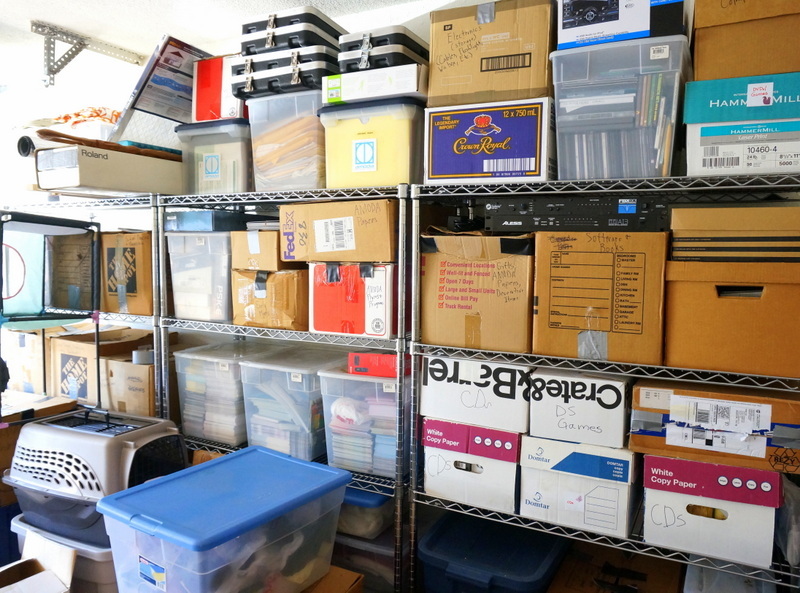 Have you ever been searching for a garage sale, only to get lost along the way? And then get so frustrated that you turn the car around and head to another sale–one that guides you there with clearly labeled signs? If you guide shoppers to your sale with good signage, they will reward you with their presence. Place signs at major intersections near your home, as well as a sign in your yard so shoppers know this is the place! Also mention special features of the sale on your sign. For example, we hosted a multi-family sale, so our signage made that fact very clear! 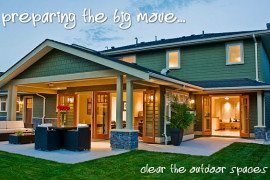 Speaking of making your sale stand out, another way to do this is with fair pricing. 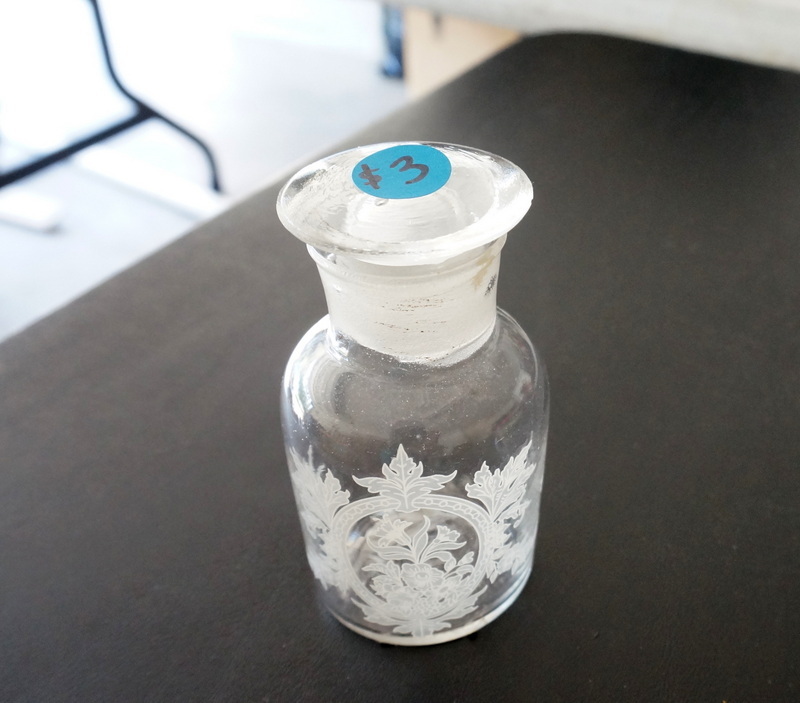 I know–you paid $25 for an antique bottle at an estate sale and you know it’s worth even more than that. But this is a garage sale. People are searching for bargains. 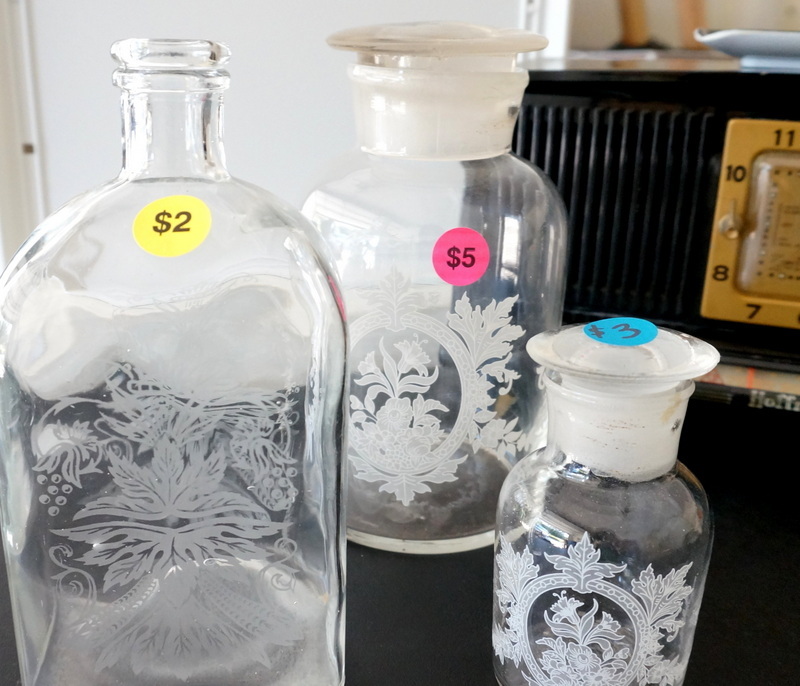 I used to be an antique dealer, and I too tried using garage sales as a place to make money on valuable items. 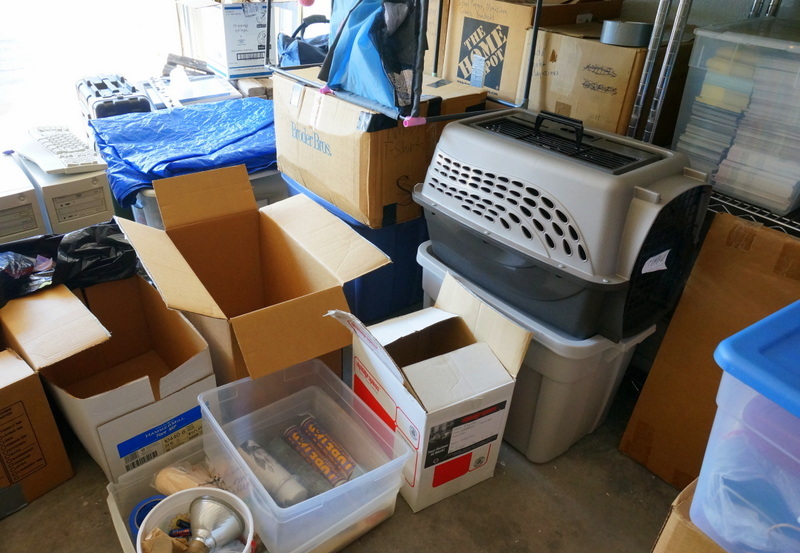 All it took was 2 sales where I was left with almost as many items as I was trying to sell, and it became clear–if I really wanted to get rid of items, I would have to price them to sell them. If you want to sell valuables, try using eBay or a consignment shop. 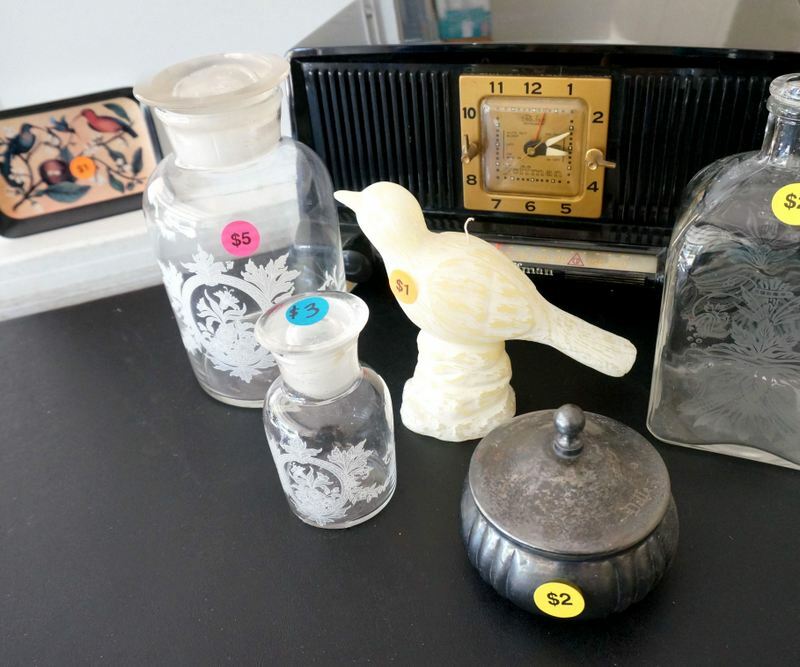 A garage sale is not the place to convince shoppers that your 1920s lamp is worth over $100. What CAN you do to make money? Try grouping “like” items! 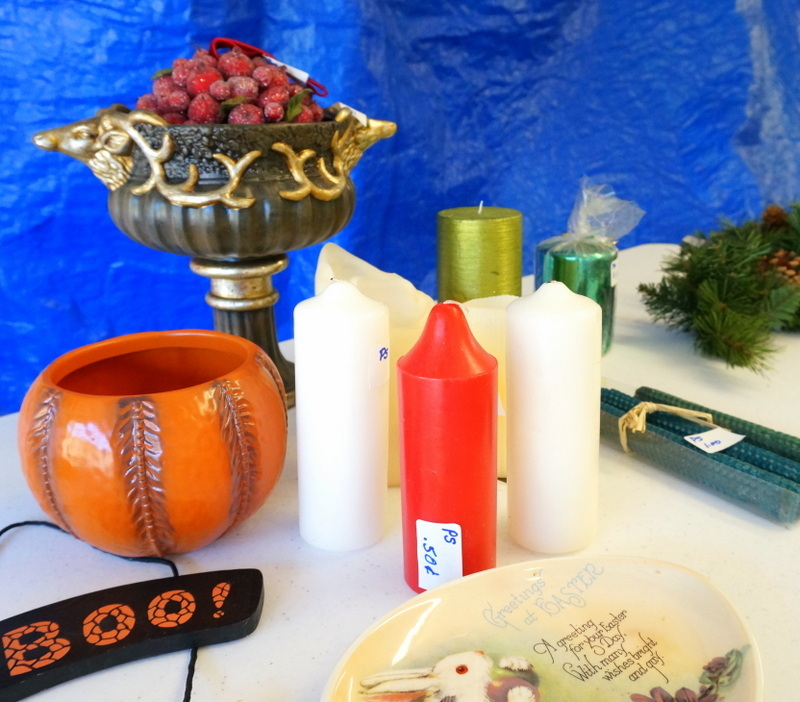 Yes, even at an informal garage sale, display can make a big difference. 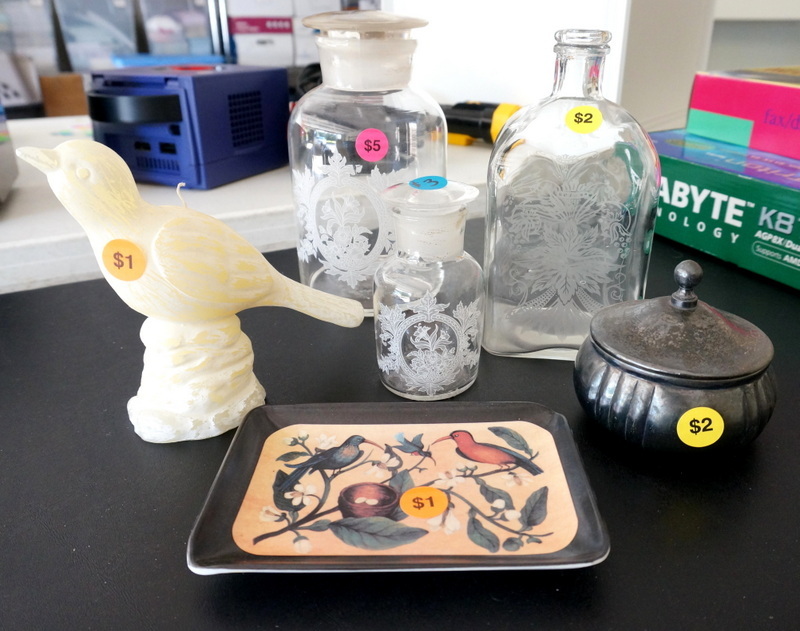 I grouped lovely collectibles on one table and seasonal items on another. 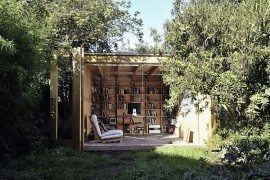 There was even a table for books. 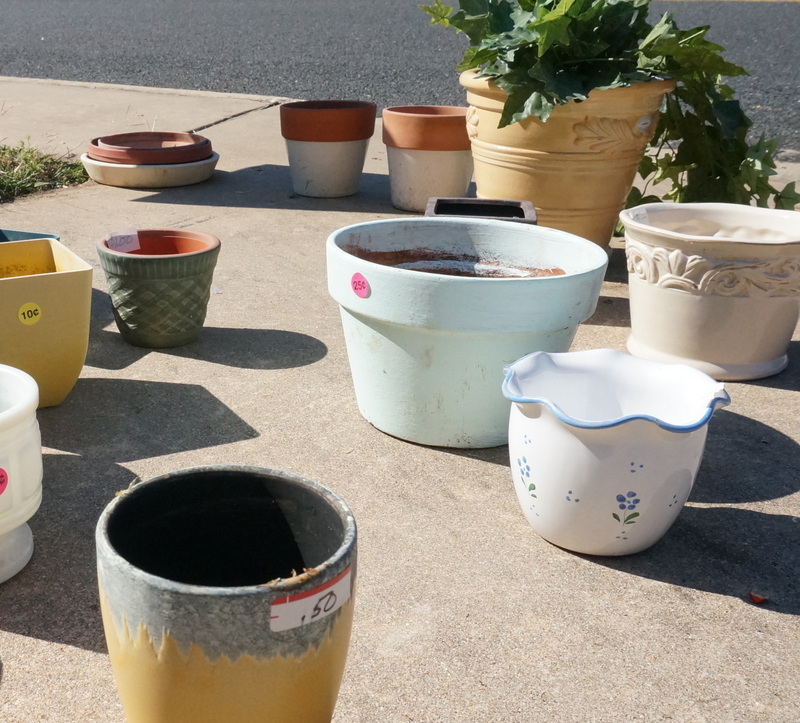 Pots were placed out in the driveway. This made them easier to load into cars once they sold. My aunt even put some faux greenery in one of her pots to show shoppers just how beautiful it could be when filled with plant life. A nice touch, don’t you think?! 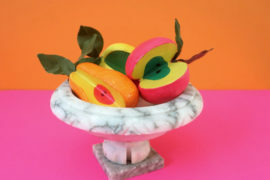 My last tips involve making life easy for yourself the day of the sale! The first tip: have a watch or clock (such as the clock on your cell phone) nearby to keep track of the time. The time really does fly, and it’s good to know when the sale is winding down so you can start reducing prices on items if need be. Also have plenty of spare change on hand. 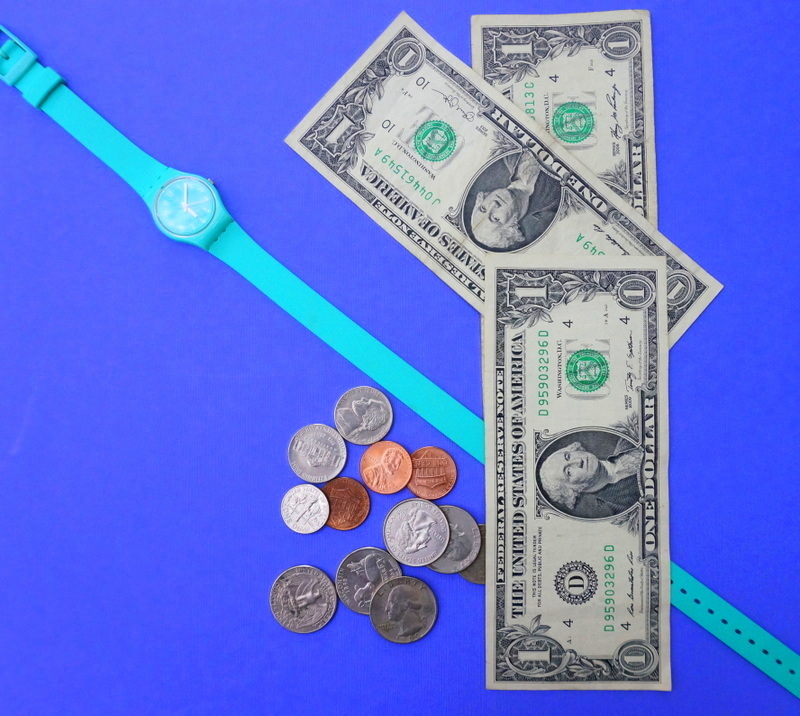 Small change is key, especially at the start of the sale, when a customer may hand you a $20 for an item that is worth $1. 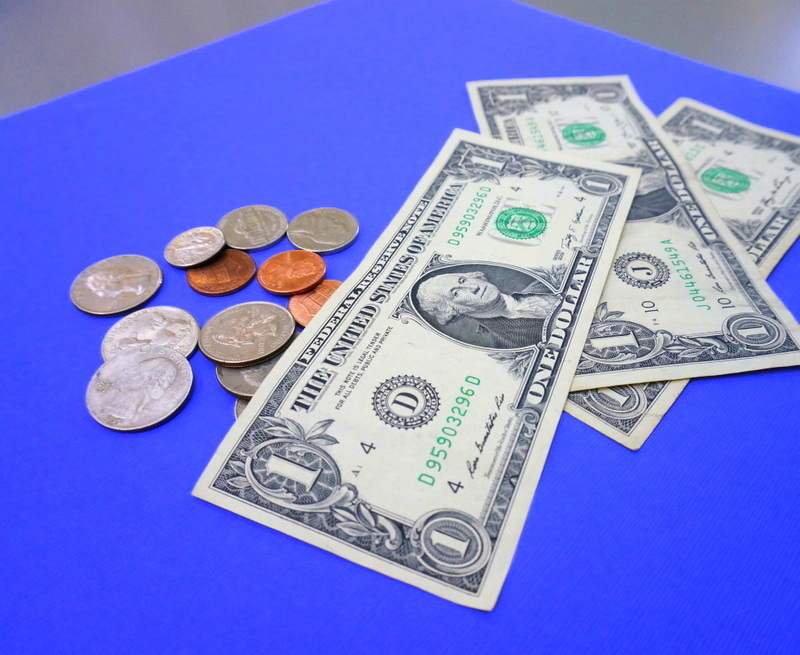 Coins are helpful as well, to give shoppers change for items marked under a dollar. Other helpful items to have on hand: breakfast to eat after the first rush of shoppers comes through, coffee, snacks, bottled water, a hat, comfy shoes, a purse or other money container to wear at all times (don’t leave money unattended), and a chair for resting in between surges of shoppers. Was this past weekend’s sale a success? Absolutely! 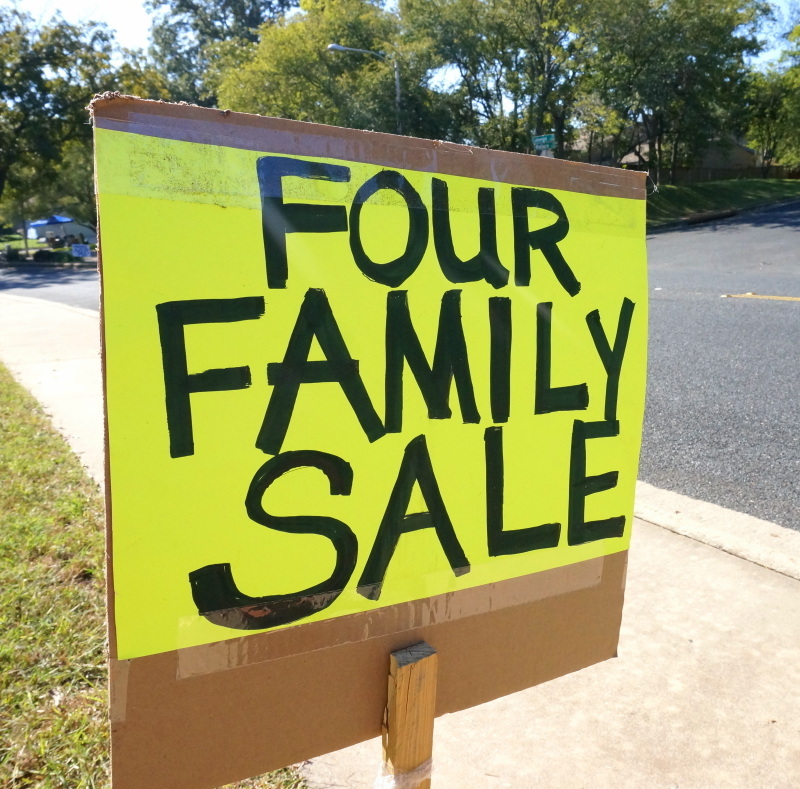 I even saved the “Four Family Sale” sign because I think we’ll have another big garage sale again next year. A fun way to visit with family on a Saturday morning while de-cluttering! Hope your weekend was fabulous as well!